We are making our way down the beach at Scheveningen, and pass by another rather unmissable local landmark: “Vuurtoren van Scheveningen” (the Scheveningen Lighthouse), …although “vuurtoren” transates rather literally as “fire tower” which of course they were in the days before gas or electric lights. 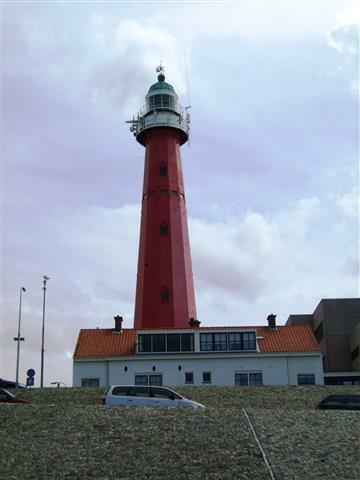 In de 16th century Scheveningen had a lighthouse already, and the church collected money from the ships using it. It was elevated in 1850, and equipped with a copper cupola and a new light. 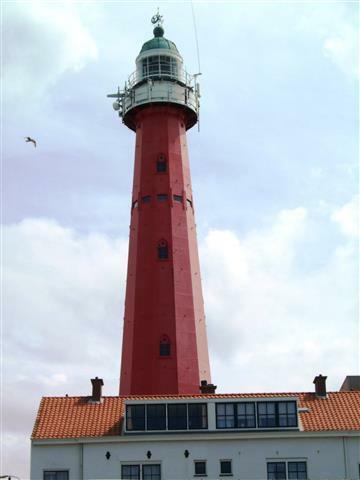 In the 1870s, Dutch lighthouse designer Quirinus Harder got the assignment for a new lighthouse. 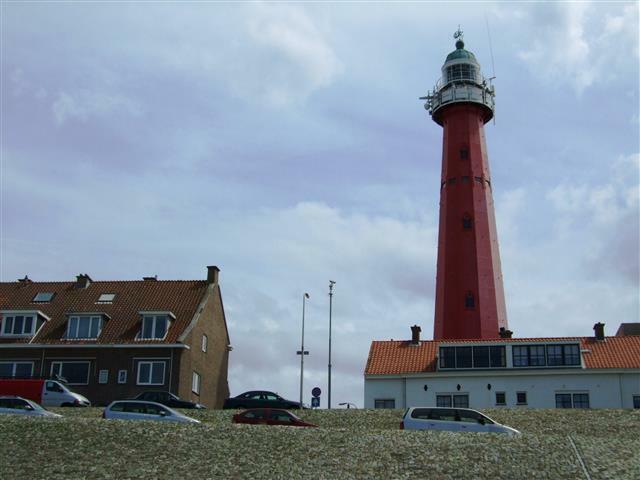 The lighthouse is made of cast iron and consists of nine segments. At the foot of the tower is one house for the supervisor and four more for the lighthouse keeper. 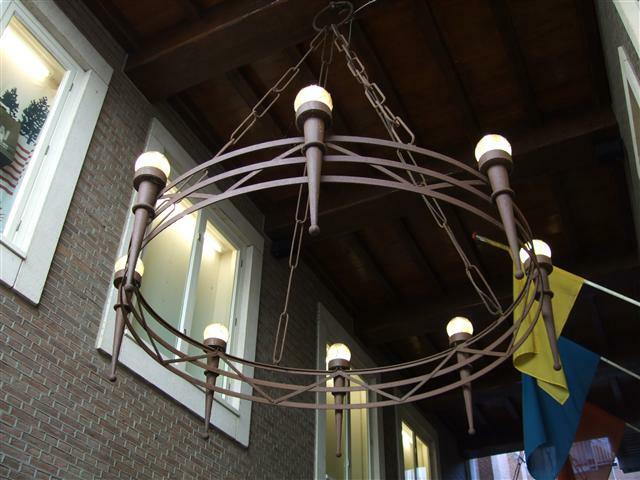 The original light rotated in a mercury bath, which was replaced in the 1960s by an electrical system. 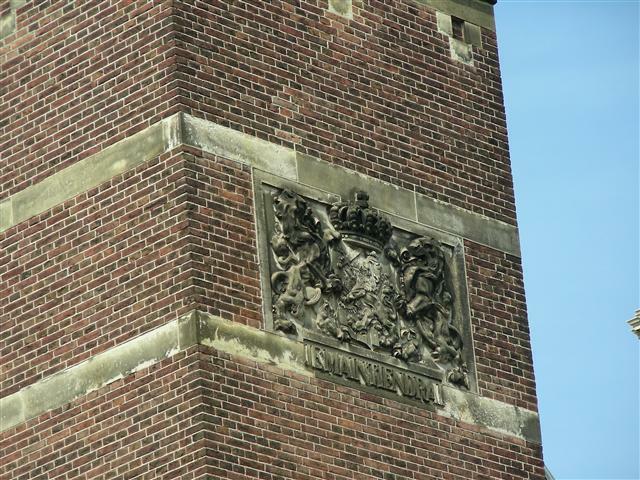 One of our friends said that you can do a small tour/ learn about it and climb up it, another neighbour said you used to be able to do so but can’t any more, but wasn’t entirely certain if that was a temporary thing because of renovations. Since I’m not in good enough walking mode to tackle tower climbing any time soon, I will put off investigating this further until I can, and will update this post accordingly. 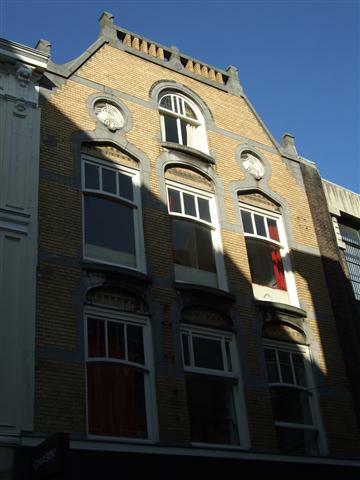 Whilst Himself and I were courting, I rented a room in the very upmarket neighbourhood of the Statenkwartier (ok, if I’m completely honest it was a garret box-room of a room, above the fourth floor under the roof eves, rather cold in winter and boiling hot in summer). However it was a tiny space of my own and good enough to start off with. 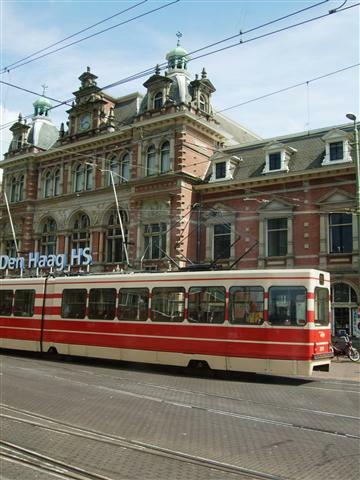 Every working day I would take the tram into the centre of the city and on the way would pass a beautiful building on Kneuterdijk 20–22. 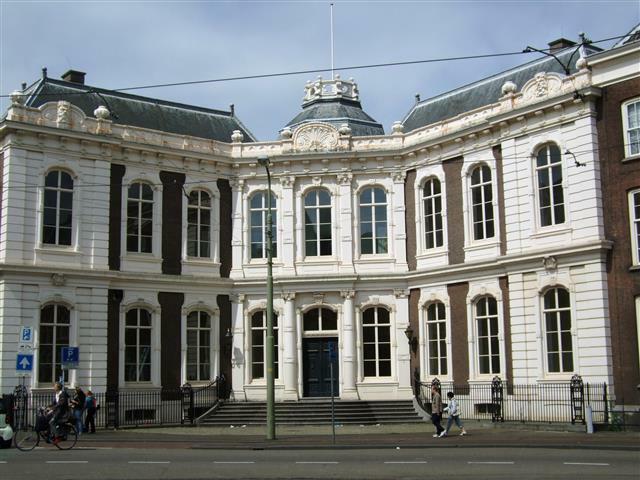 Kneuterdijk Palace, located in the Hague, was once a Royal Palace of the Kings of the Netherlands. 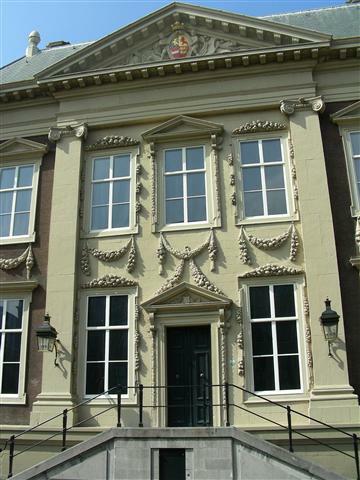 Built in 1716 in the Louis XIV style, by architect Daniel Marot, it was first home to the Count of Wassenaar-Obdam. The palace served as a residence for King William II and his wife princess Anna Paulowna of Russia in the first half of the 19th century, when he was still the crown prince. 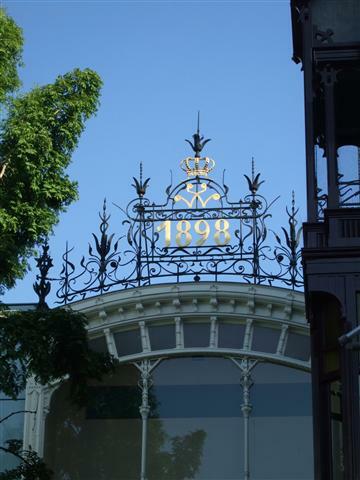 Their grandson crown prince William used the palace from 1858 till his death in 1879. In the 1930s the place was occasionally used by Princess Juliana. 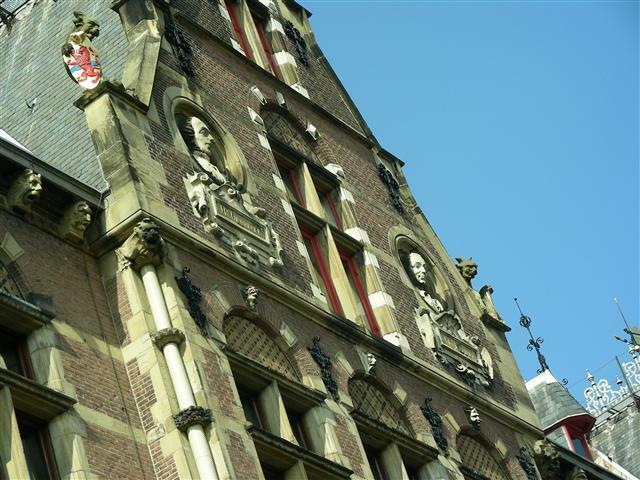 After World War II Dutch war criminals were tried in the great hall, some of whom were sentenced to death. 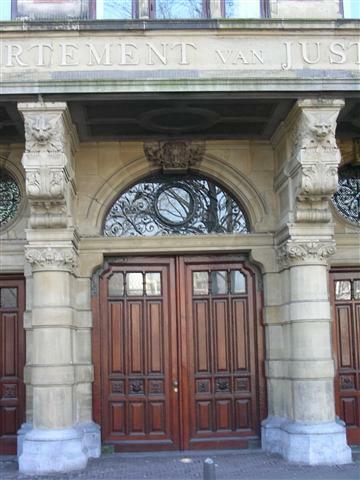 Then the Ministry of Finance used the building for many years. 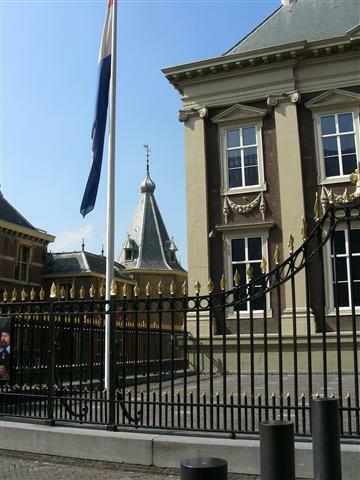 Since restoration work was completed in 2001 the palace has been in use by the Netherlands Council of State (Raad van State). 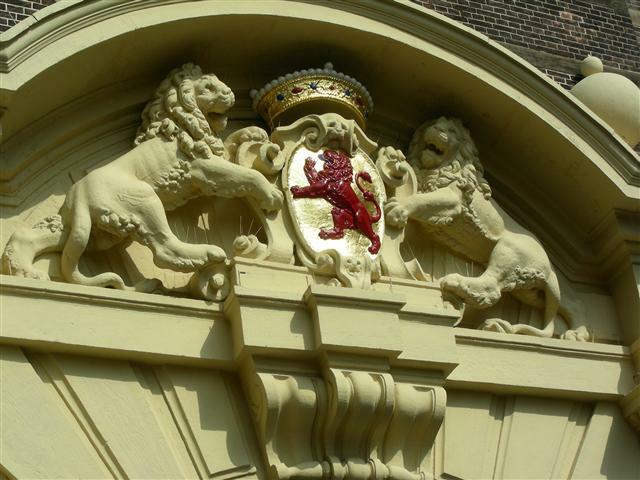 Raad van State is a constitutionally established advisory body to the government which consists of members of the royal family and Crown-appointed members generally having political, commercial, diplomatic, or military experience. The Council of State must be consulted by the cabinet on proposed legislation before a law is submitted to the parliament. 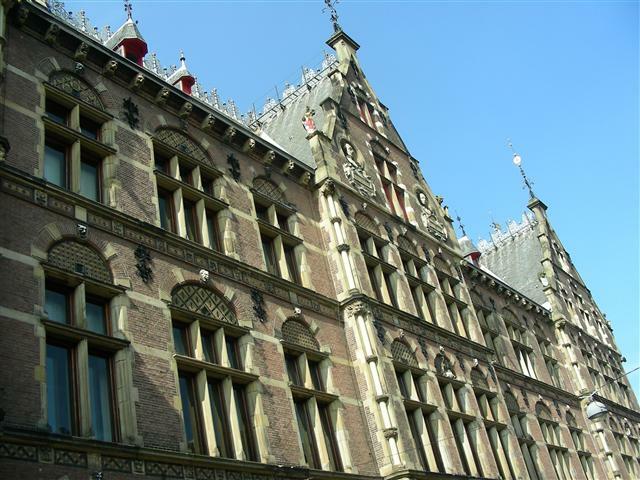 The Council of State is an independent adviser to the government on legislation and administration and general highest administrative court in the country. 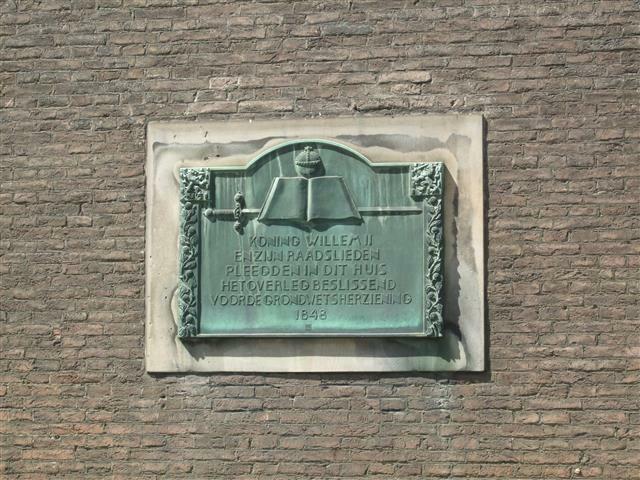 When I went to take photos of the building I noticed a plaque on the side of the wall around the corner that translated reads “King Willem 2nd and his advisers discussed decisively changes to The Netherlands constitution in this house 1847. 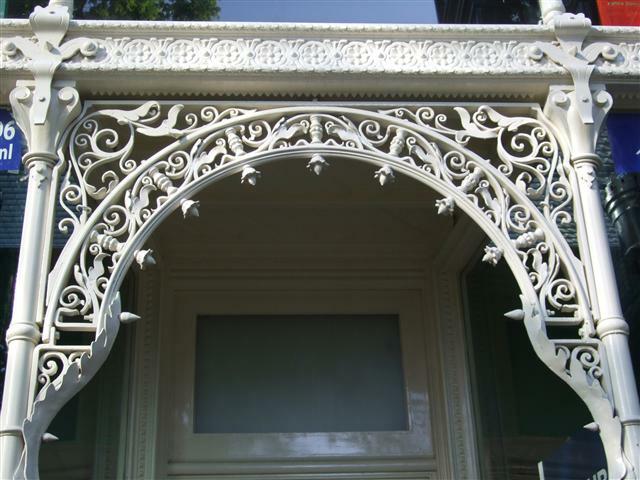 I continue to admire it’s classical beauty every time I pass it by. 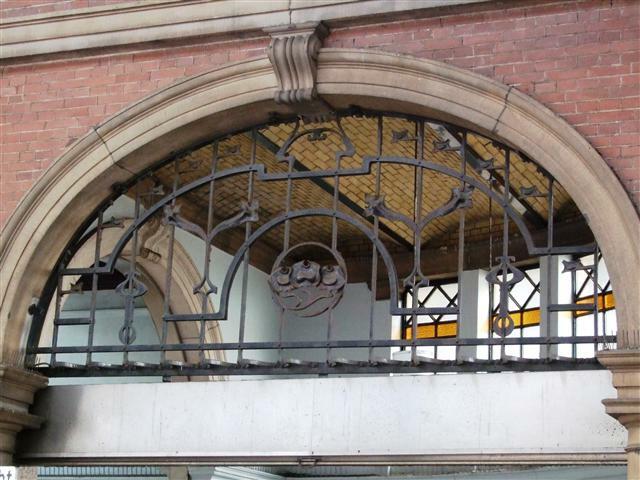 Following yesterdays post I’ve been looking at some photographs in my archive folders and found several concerning the beautiful building that is Hollands Spoor (HS) station in the Hague. One of the cities two train stations, it’s the one that is a ‘” through” station rather than the cul-de-sac type at Central Station where trains turn in and then reverse out again. 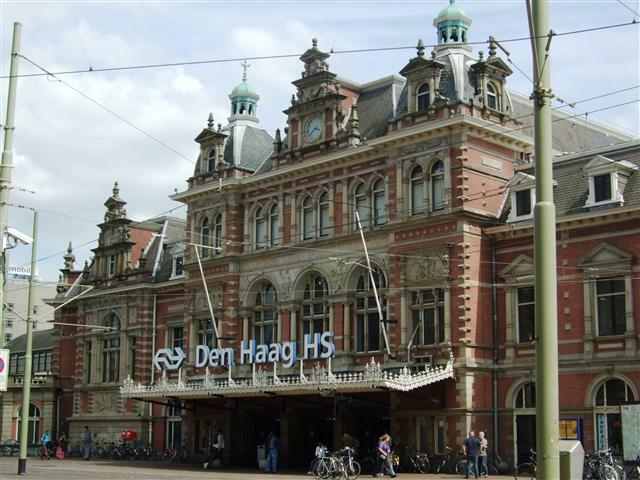 This means that if you need to catch many of the intercity trains or the high speed Thalys train, then it’s Hollands Spoor station that you’ll be departing from (or arriving at, depending on your location). 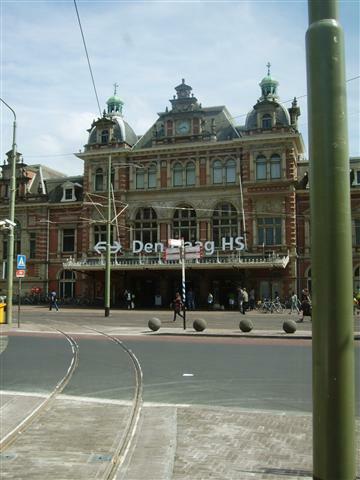 Both stations are significant junctions for the cities tram systems, although buses tend to go almost solely via Central Station because it’s a far more recent building and has a bus terminus level within it. 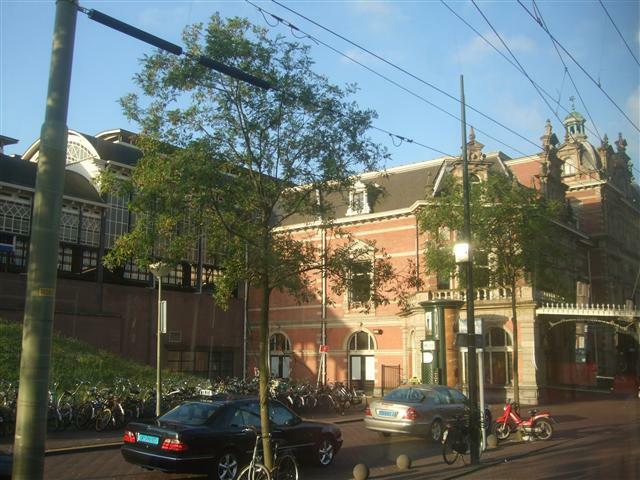 With regards to the history of Hollands Spoor Station, I found some interesting snippets on Wikipedia, written in italics below. 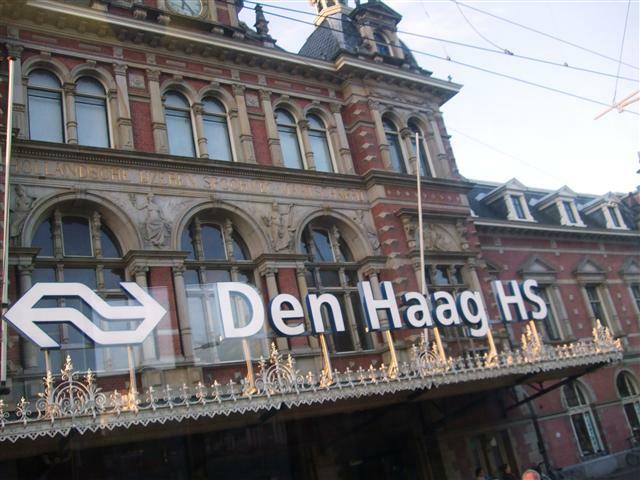 Den Haag Hollands Spoor railway station, also known as Den Haag HS, is the oldest railway station in The Hague, Netherlands.It was opened in 1843, when the Amsterdam–Haarlem railway, the oldest railway line in the country, was extended to The Hague. This line was further extended to Rotterdam in 1847. 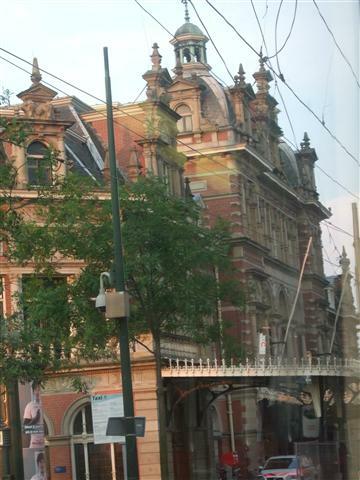 The railway station was named after the Hollandsche IJzeren Spoorweg-Maatschappij, the company which operated the railway station. 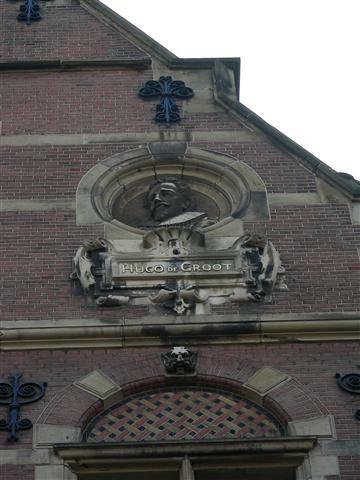 Rival company Nederlandsche Rhijnspoorweg-Maatschappij opened a second main railway station in The Hague in 1870, Den Haag Rhijnspoor, for the railway line to Gouda and Utrecht. 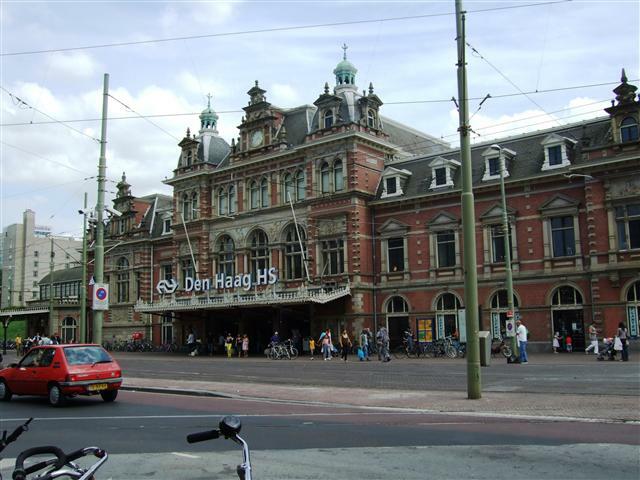 This railway station was demolished in 1973, to make way for the Den Haag Centraal railway station. 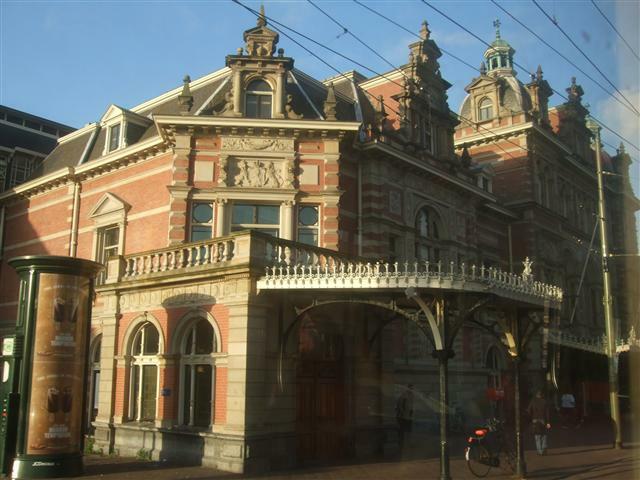 As a result, The Hague has two main railway stations: Centraal Station and Hollands Spoor. 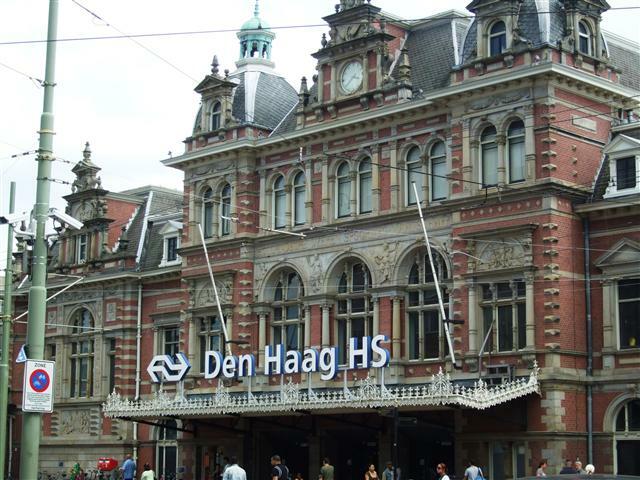 Trains from Amsterdam to Rotterdam and beyond (Brussels) stop at Hollands Spoor, not at Centraal Station. How to Be Original … and Fake at the Same Time! 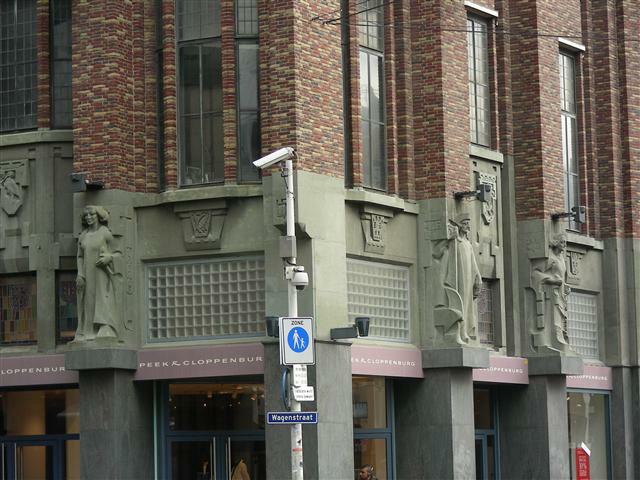 The Shopping arcade in the centre of the Hague known as “de Haagse Bluf” is a rather unique feature of the Hague. 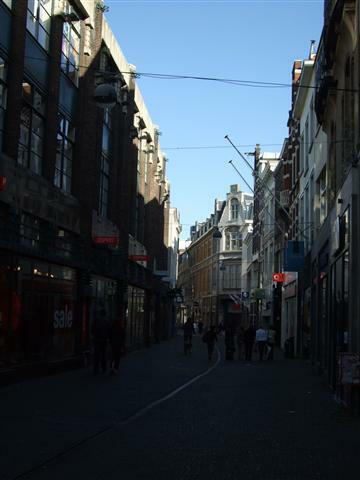 It’s basically a small and almost enclosed “Plein” (square) or courtyard reached by narrow pedestrian streets or shopping arcades. So, we have shopping streets and arcades of shops leading to a square that contains more shops: ok, nothing dramatic or out of the ordinary so far. However, what’s really unique about the Haagse Bluf is less the shops it contains and more the strange juxtaposition of the buildings they are housed in. 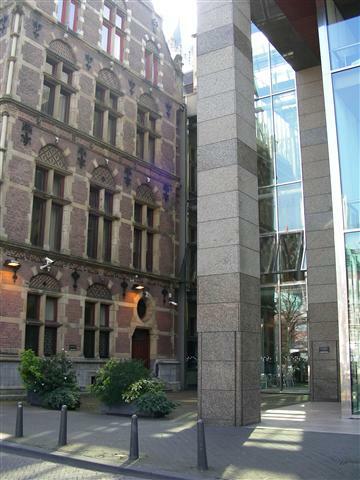 The inner Plein buildings certainly make people do a double take. 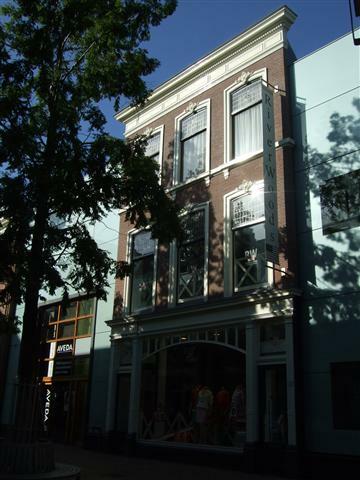 Old very traditional Dutch building façades have been not so subtly incorporated into very new building forms. 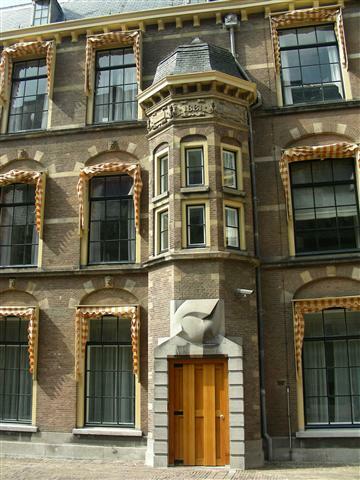 It’s a very odd mix of old and new architecture fused together and most people probably assume that the architect just sketched in some Dutch traditional character features into their fake frontages. Wrong: some of these frontages are exact replicas of actual buildings elsewhere, many of the originals are still standing, but several have been demolished in years past. 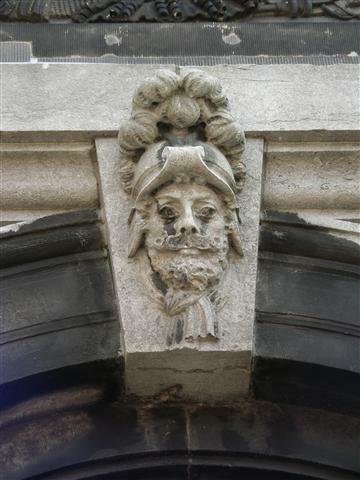 That said, these demolished buildings did not completely disappear: much of their stone ornamentation was saved and re-incorporated into these replicated façades, which now begs the question: does this mean the façade made in the Haagse Bluf is fake or original or a bizarre mixture of both? 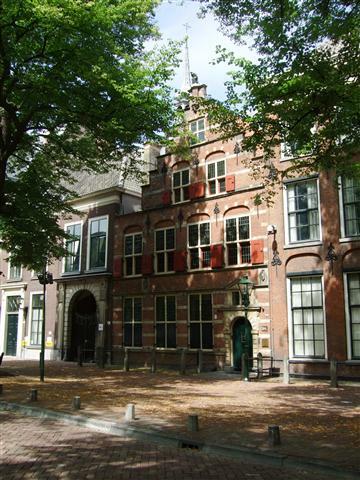 Wikipedia (Dutch language text only) tells me that one of the façades is a copy of the “Het Pagehuis” (The Page House) which dates from the beginning of the 17th Century and it still stands facing the Binnenhof at it’s address of Lang Voorhout 6. 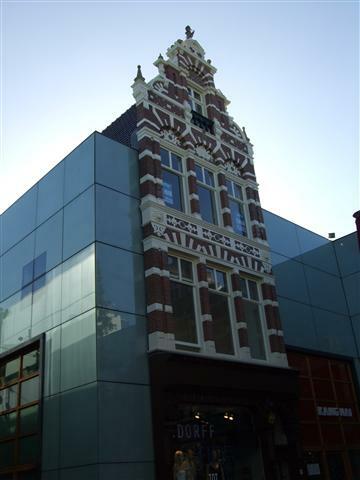 One façade is a copy from a building on the Denneweg, dating from 1898 and another façade (Kaldi Coffee and Tea company) comes from a building located at Markt 4 in Delft within metres of the Delft Stadhuis. 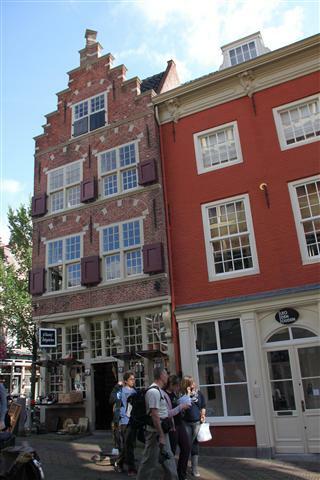 The foundations of the house in Delft date from the 13th century but the original building was destroyed and then rebuilt after a city fire in 1536, added to in 1760 when it was used as retail storage space, complete with “hijsbalk” (cantilever or lifting beam) as explained in one of my earlier blog posts. 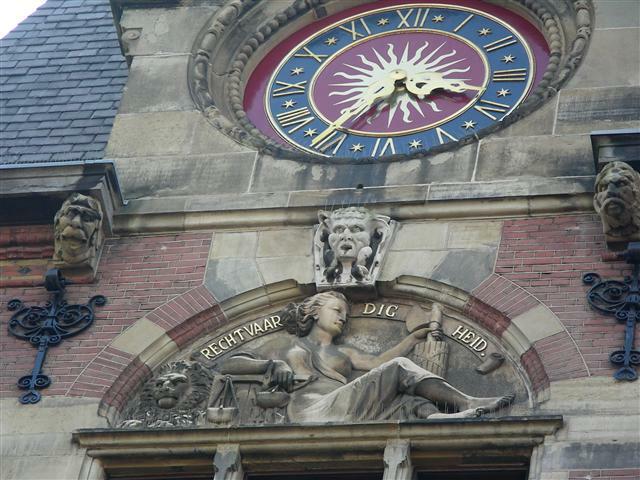 By chance I happen to have a photo of (part of) the original building in Delft in my photo archive to show you as well. Regular readers of my blog will know that I’m nowhere near an instant fan of modern architecture. I therefore surprised myself that I completely and totally love the buildings here in the Haagse Bluff, despite the fact that no effort has been made to cover that fact the the façades are attachments to modernist cube-form buildings. Logical says it shouldn’t work, but reality is that it does! The two fuse together brilliantly and it’s wonderful to see a total renovation of part of the city centre pay homage to local historical past. 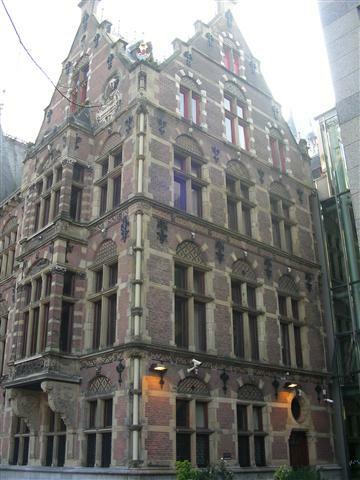 I used the Haagse Bluf website to figure out the identities of some of the buildings: the first photo in this post originates from Noordeinde 17 in The Hague, the second building is completely from the original building that stood at Hooftkade 195 because the entire façade was saved and bought here when the building was demolished. 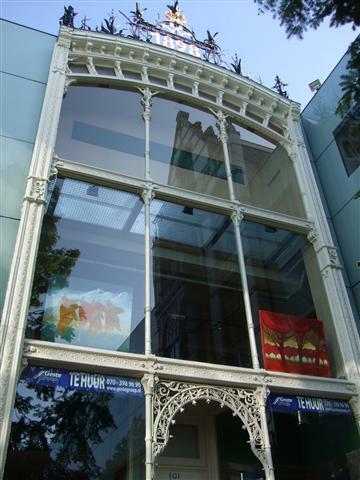 It dates from 1889 and was formerly a distillery of the firm WFGL Spanish. 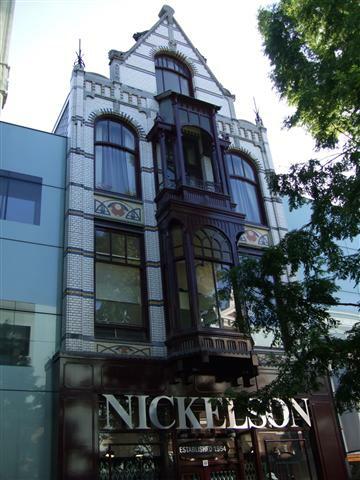 The Nickelson building in the photo below is a replica of Noordeinde 6 (which still stands as a commercial premises) but was formerly a store-house from 1901 built in a Viennese Secession and Gothic inspired style. 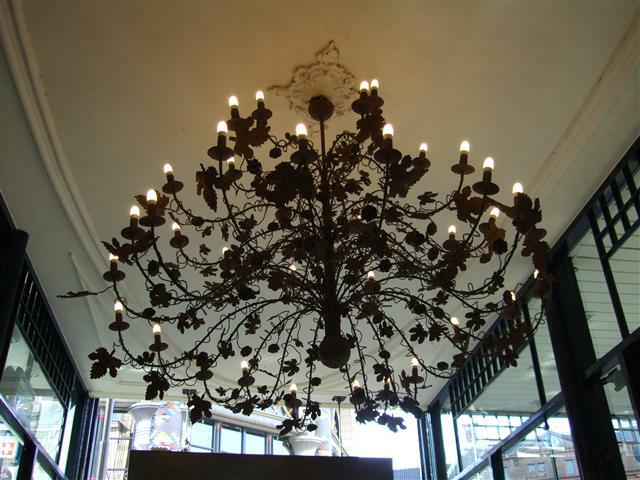 The next photos show a replica of the Denneweg 56: a former showroom in 1898 of the foundry E. Beekman, designed by Jan-Willem Bosboom, is an early example of Hague iron and glass architecture. 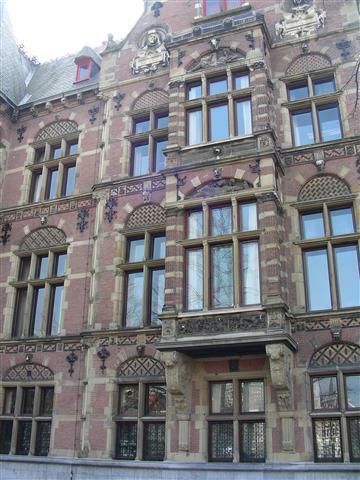 The building at the Denneweg is considered one of the main exponents of Art Nouveau in The Hague. This is a replica of the Denneweg 4, built in 1870. 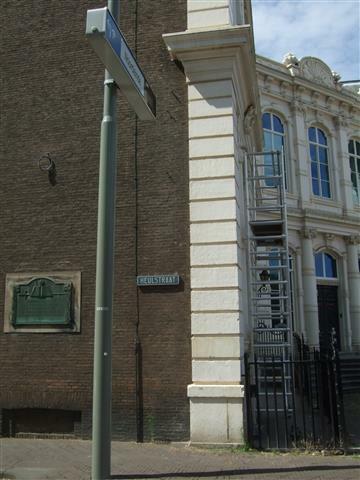 I took this photo from the wrong angle, not knowing when I made this photo that it’s a replica of Markt 4 in Delft. 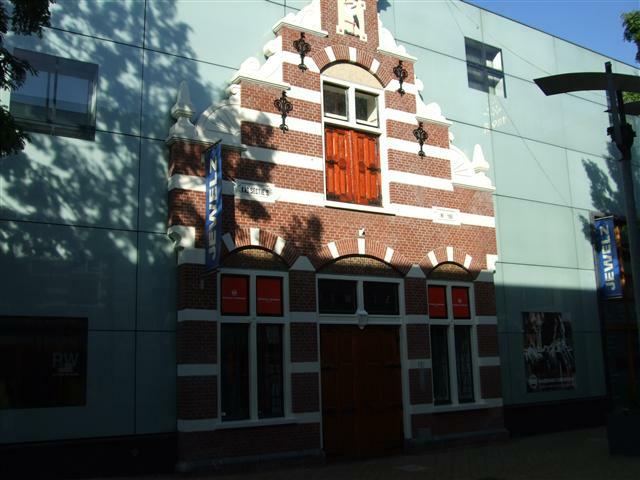 Ironically I have half of this red brick building in a photo in my Delft photo archive because I was photographing the building next to it. Himself, who is usually fairly neutral and certainly not emotional about buildings said with a big sigh of relief “thank heavens it’s not just boring flat cold block walls”. The Haagse Bluff has this effect on people: it doesn’t ignore that people live in the modern world but it does work aesthetically around it. I personally think these buildings are inspired, giving them a sense of history in their façades gave them soul, and who wouldn’t want to embrace a place that has soul? These photographs were discovered in a camera chip that I accidently left in a camera that met it’s demise in the hands of Little Mr. in 2008. To be fair he was an energetic and inquisitive toddler at the time, who upon the discovery of tablecloths and shiny silver gadgets must have thought all of his Christmases had come at once (although in our case it was actually Saint Nicolas, not Christmas). 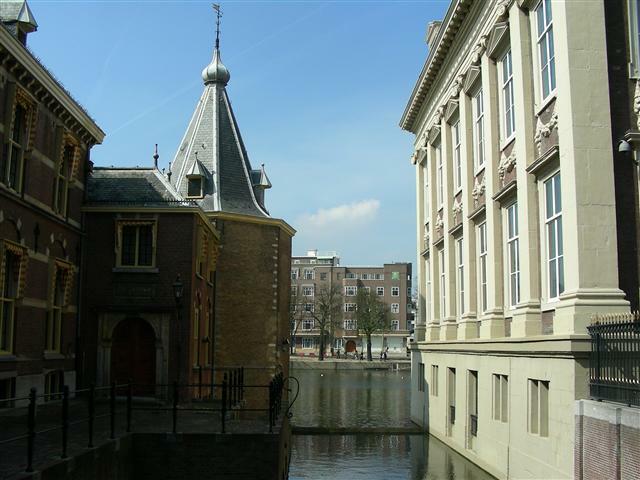 In these photos I had gone for a wander in the Hague central city very close to the Binnenhof complex of old and new Parliament buildings. 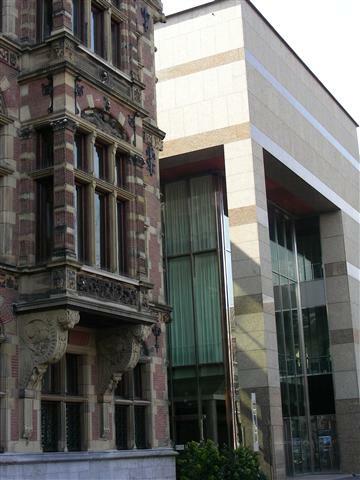 The new Parliament building was added between the Binnenhof complex of the old Parliament buildings, and the old and highly ornamented Department of Justice building and the joining of old and new is a bit startling from some angles. There is of course now a far larger Ministry of Justice building not too far away because this building is now far too small for all that is required for a modern day court system in The Netherlands but I have already resolved that this building deserves a closer look once I’m properly mobile again. 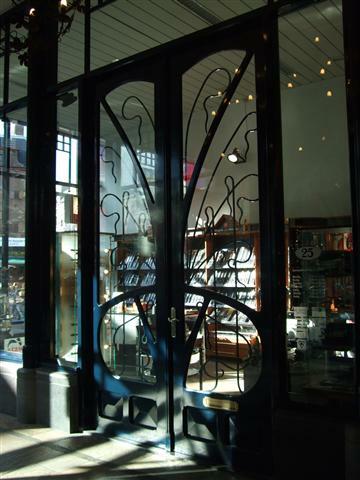 The last photo is of a large department shop called “Peek & Cloppenburg” and there are a few beautiful doorways thrown in for good measure. For the full account of Little Mr’s nefarious deeds read here: https://kiwidutch.wordpress.com/2013/01/18/new-960/?preview=true. 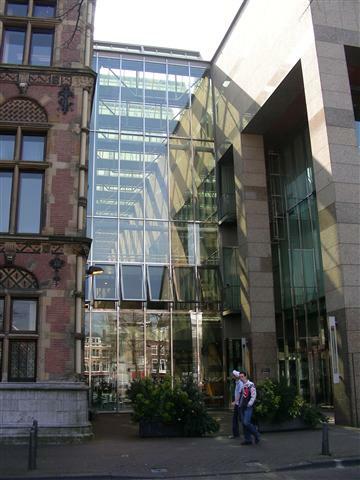 In continuation of yesterdays post and upon the discovery of a camera chip full of photographs taken in 2008 inside a camera that Little Mr. destroyed as a toddler, I’m taking you on a tour of part of the Hague city centre. 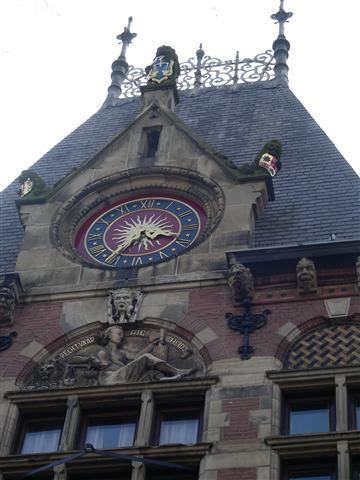 There’s a beautiful building standing next to the complex of Parliament buildings called the Binnenhof. 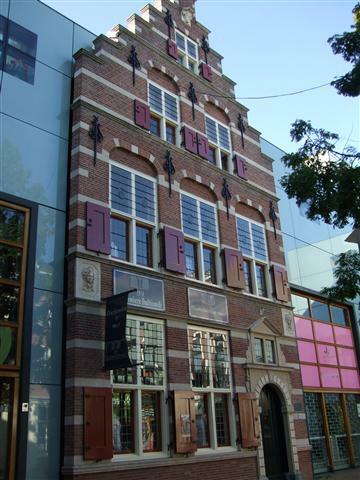 This building is called the Mauritshuis (Maurice House) and was originally built in 1641 as the home of army officer Count John Maurice, who was also Prince of Nassau-Siegen and cousin of stadtholder Frederick Henry, Prince of Orange. 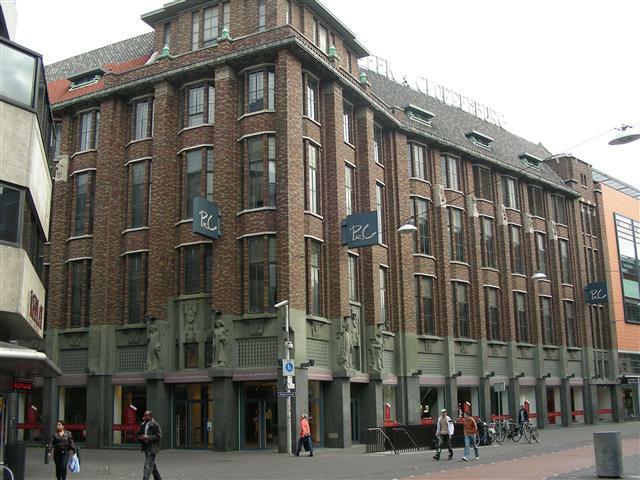 “The Dutch Classicist building was designed by the Dutch architects Jacob van Campen and Pieter Post. 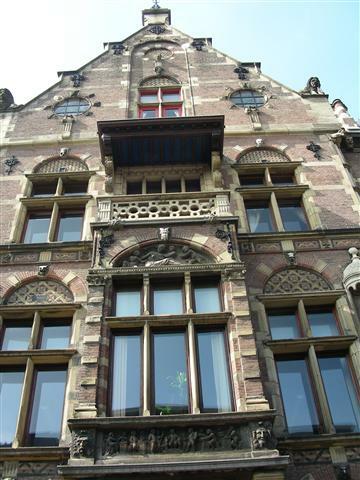 The two-story building is strictly symmetrical and contained four apartments and a great hall. 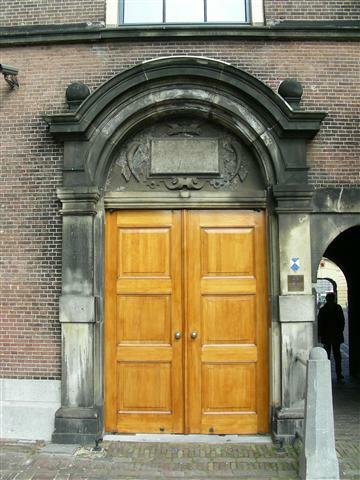 Each apartment was designed with an antechamber, a chamber, a cabinet, and a cloakroom. 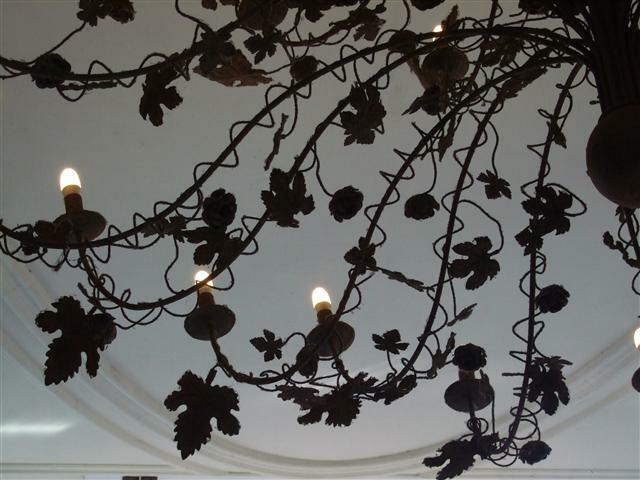 Originally, the building had a cupola, which was destroyed in a fire in 1704. In 1675 Prince John Maurice’s health compelled him to give up active military service, and he spent his last years in his beloved Cleves, where he died in December 1679. 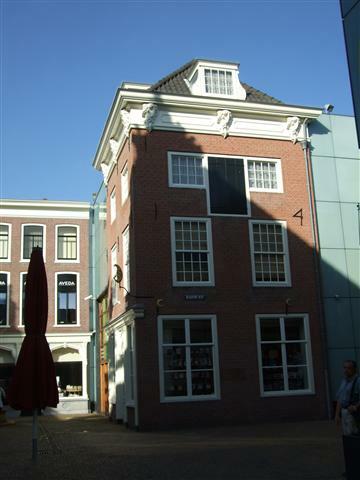 After his death the house was owned by the Maes family, who leased the house to the Dutch government. 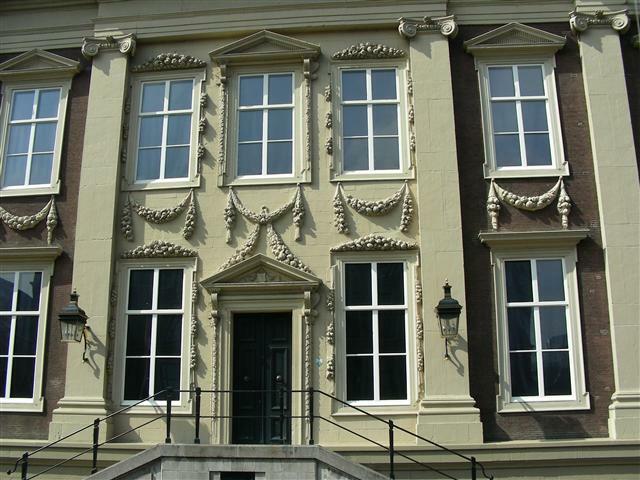 In 1704, most of the interior of the Mauritshuis was destroyed by fire. 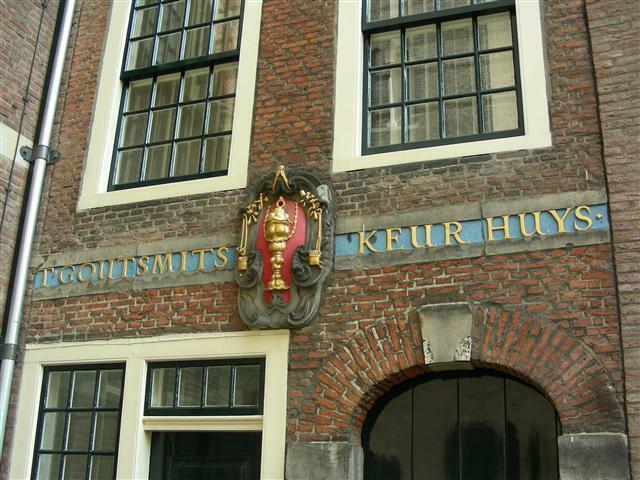 The building was restored between 1708 and 1718. 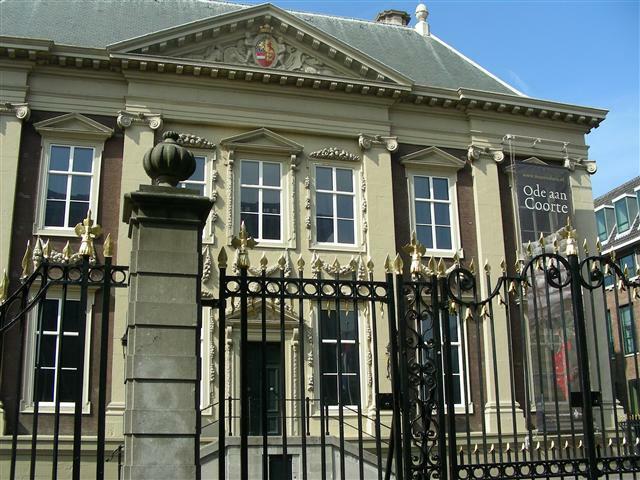 The Mauritshuis now houses a large art collection, including paintings by Dutch painters such as Johannes Vermeer, Rembrandt van Rijn, Jan Steen, Paulus Potter and Frans Hals and works of the German painter Hans Holbein the Younger. 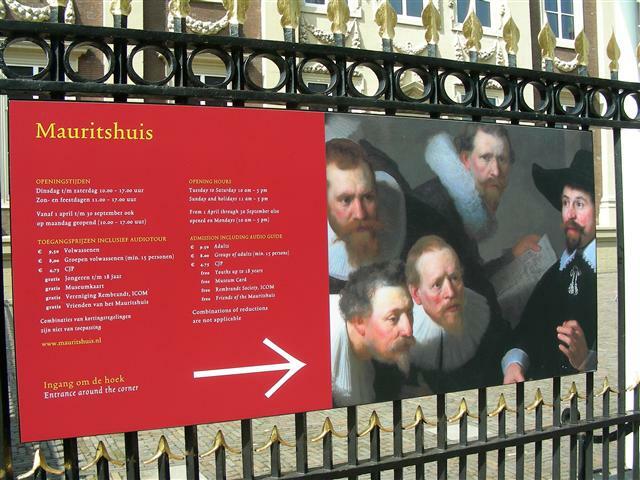 The Mauritshuis was opened as a public art museum in 1882 but is currently closed to the public due to long term renovation work taking place between 2012 and mid 2014 that will include a new underground foyer. 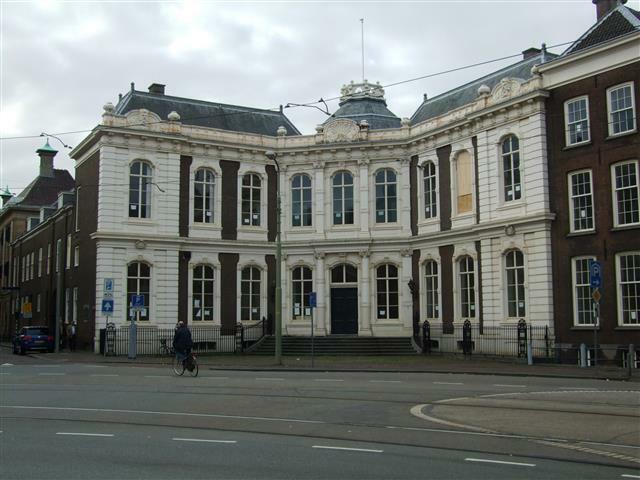 It is still possible to see many of the Old Masters though because they have been temporarily re-housed in Gemeentemuseum Den Haag. 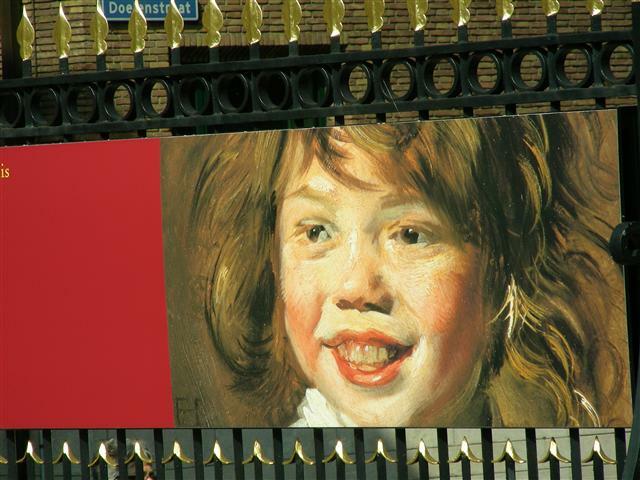 There is a time-lapse clip of the work being done so far on this YouTube video uploaded on the Mauritshuis website.